Gillette Mach 3 Razor Only $2 At CVS! CVS has Gillette Mach 3 Razors on sale 2/$10 this week! Combine sale with coupon to get them for $2 each through 12/17! Here's how:Buy 2 Gillette Mach 3 Razors 2/$10 Use 2 $3 Gillette Mach 3 coupons Final Price: 2/$4 ($2 each)This deal is valid through the end of the day Saturday! Find … [Read more...] about Gillette Mach 3 Razor Only $2 At CVS! Ferrero Gift Boxes Only $4.25 At CVS! 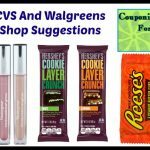 CVS has select Ferrero Gift Boxes on sale buy one get one right now! Combine sale with coupon to get them for $4.25 each through 12/17! 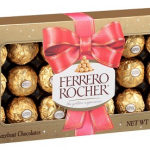 Here's how:Buy 2 Ferrero Gift Boxes 7.9 oz B1G1 $10.49 Use 2 $1 Ferrero Rocher coupons Final Price: 2/10.49 ($4.25 each)You have until the end of the day … [Read more...] about Ferrero Gift Boxes Only $4.25 At CVS! Glade Carpet & Room Refreshers Only $1.60 At CVS! CVS has Glade Carpet & Room Refreshers on sale for $2.99, plus you'll score $3 Extra Care Bucks for purchasing $12 worth! Combine with coupons to get shakers for $1.60 each through 12/17! Here's how:Buy 4 Glade Carpet & Room Refreshers $2.99 each ($11.96) Use $.55 Glade coupon Use $2/3 … [Read more...] about Glade Carpet & Room Refreshers Only $1.60 At CVS! Nabisco Cookies Or Crackers Only $.24 At CVS! CVS has small boxes of Nabisco cookies and crackers on sale buy one get one! Combine sale with coupons and Checkout 51 rebate to score boxes for $.24 each through 12/14! Here's how:Buy 2 Nabisco Cookies or Crackers 3.5 oz or larger B1G1 $2.37 Use $.75/2 Nabisco coupon from 12/11 SS or 11/6 … [Read more...] about Nabisco Cookies Or Crackers Only $.24 At CVS!